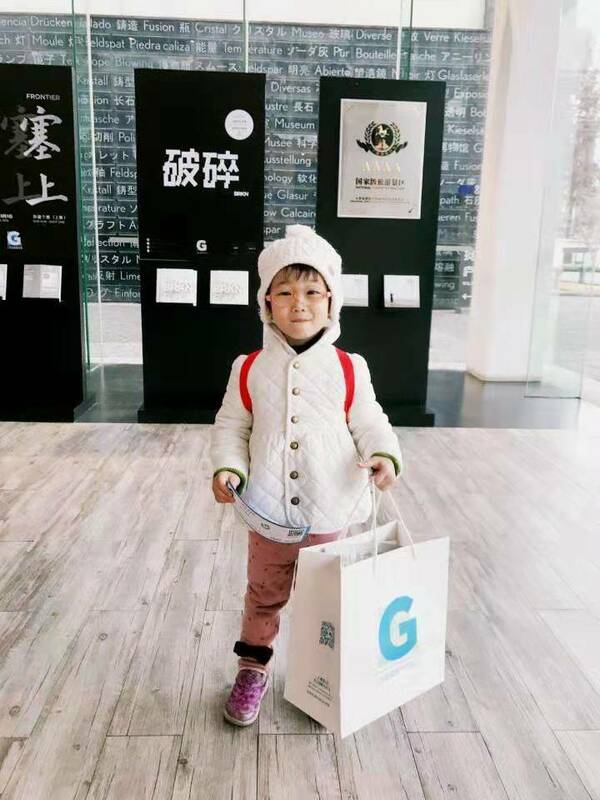 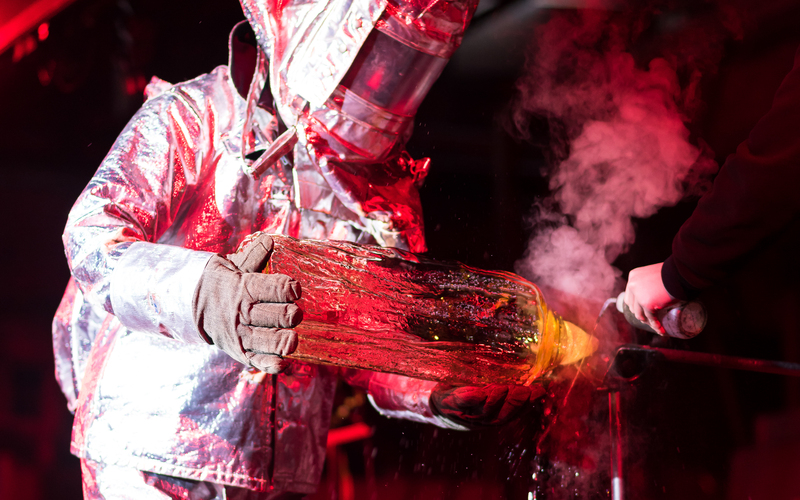 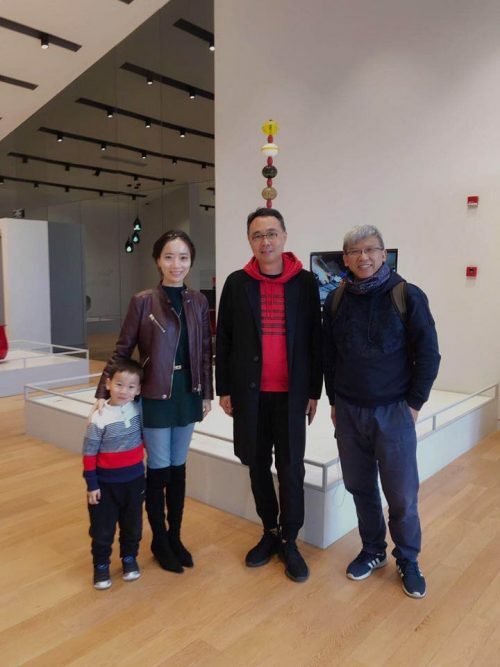 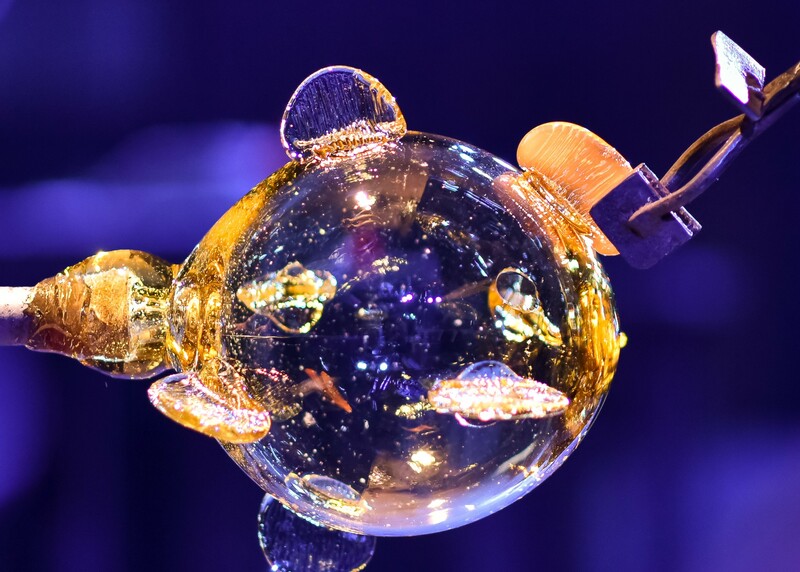 As in previous years, Shanghai Museum of Glass celebrated the Chinese New Year holiday with visitors together in 2019. The museum director Mr. Zhang Lin sent the best wishes and an art gift pack to visitors in the renovated museum lobby in the morning of Feb. 5th, the first day of Chinese New Year. 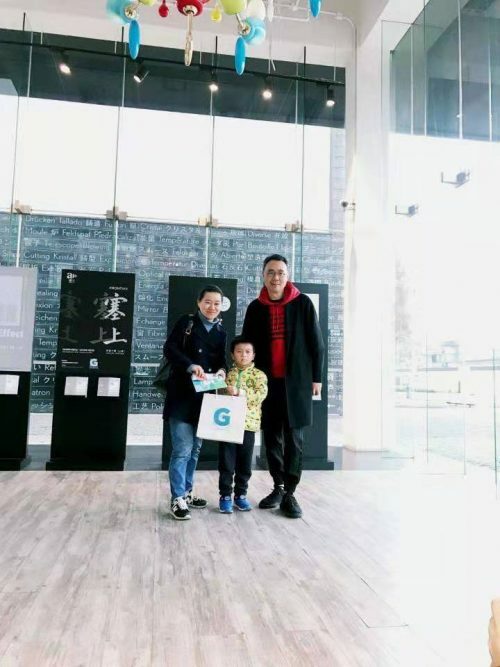 The art gift pack included a glass piggy decoration and the latest GLASSY magazine edited by the museum. Mr. Zhao Feng, director of the China Silk Museum, Hangzhou, and Ms. Zheng Yi, associate professor of department of cultural heritage and museology, Fudan University visited the Shanghai Museum of Glass on Feb. 5th as well. 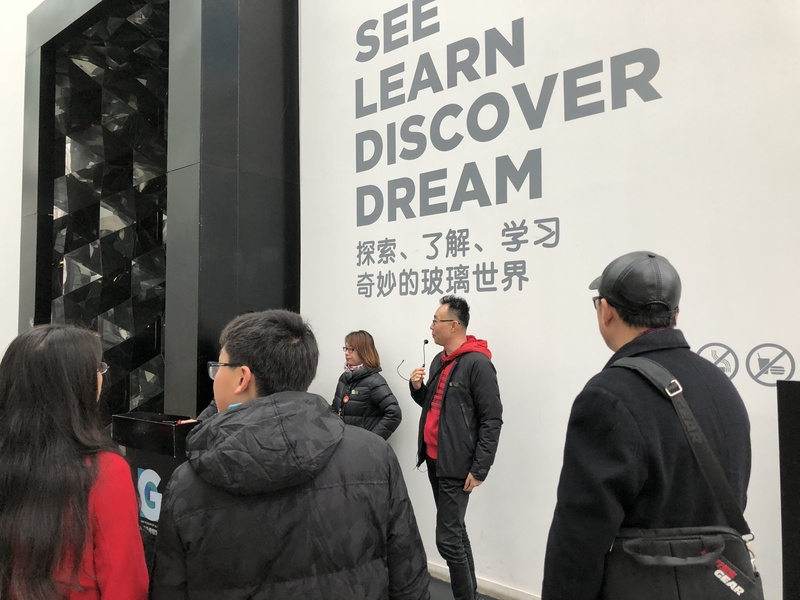 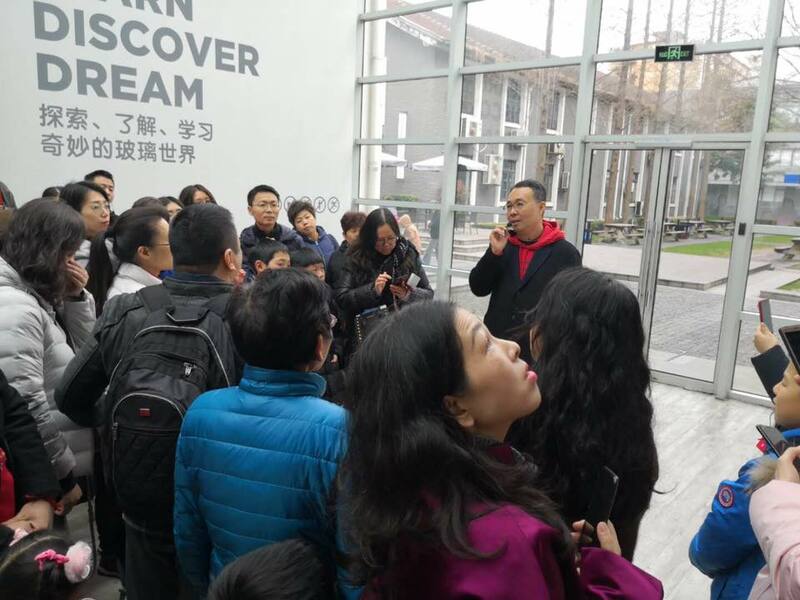 In the afternoon of 5th and 7th February, museum director Mr. Zhang Lin delivered a special guided tour in the main hall and the “BRKN” exhibition respectively, introducing the history and trend of glass, the birth of the BRKN exhibition, as well as the hidden story behind the exhibits. 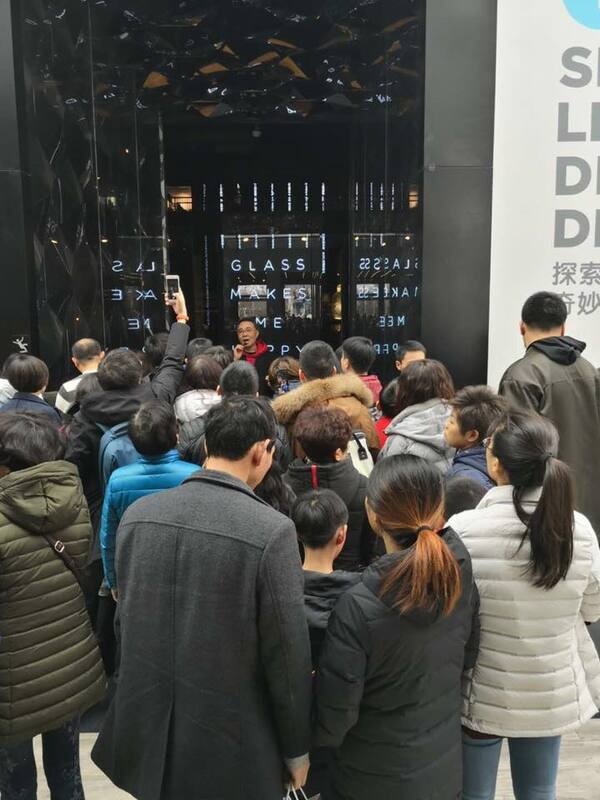 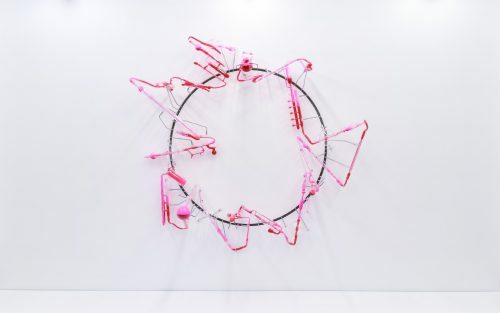 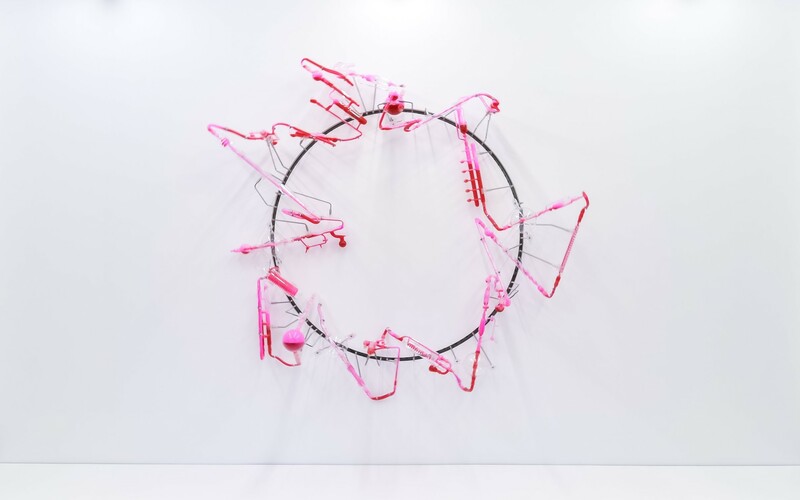 Additionally, two sets of installations made their debut in Shanghai Museum of Glass in this Chinese New Year holiday. 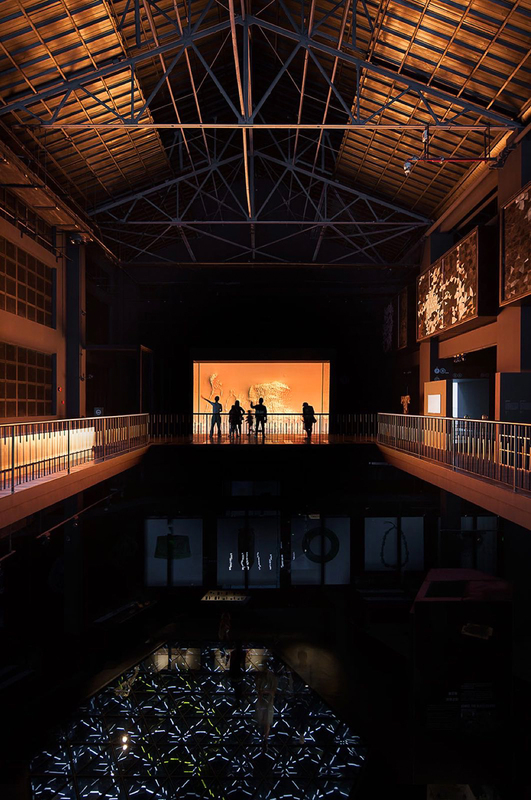 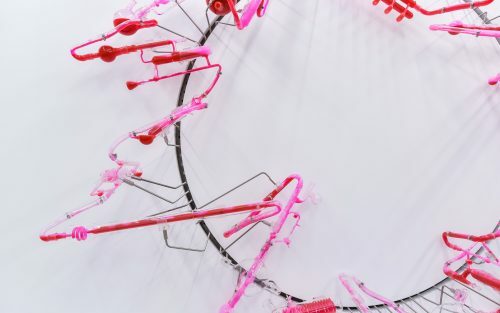 “Warm Currents”, an installation created by Chinese artist Lin Tianmiao, came back to the Shanghai Museum of Glass with an astonishing larger scale, after a two-month construction and testing. 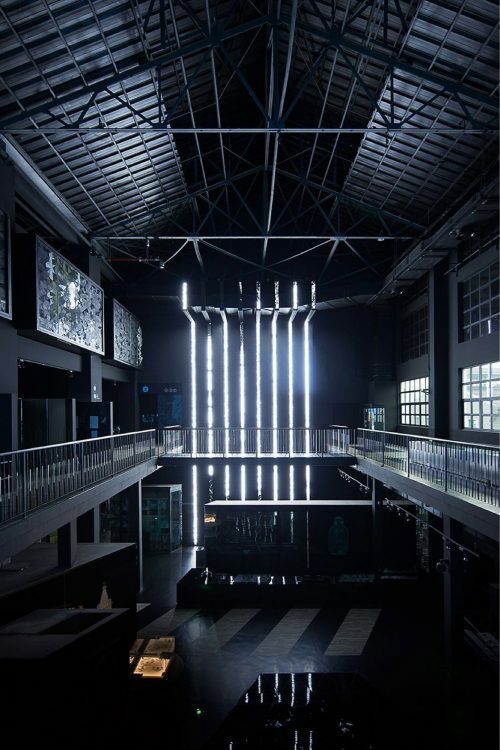 The installation problematizes aesthetics present in the fields of science and medicine, and it is the result of 2017 Annealing Program of Shanghai Museum of Glass. 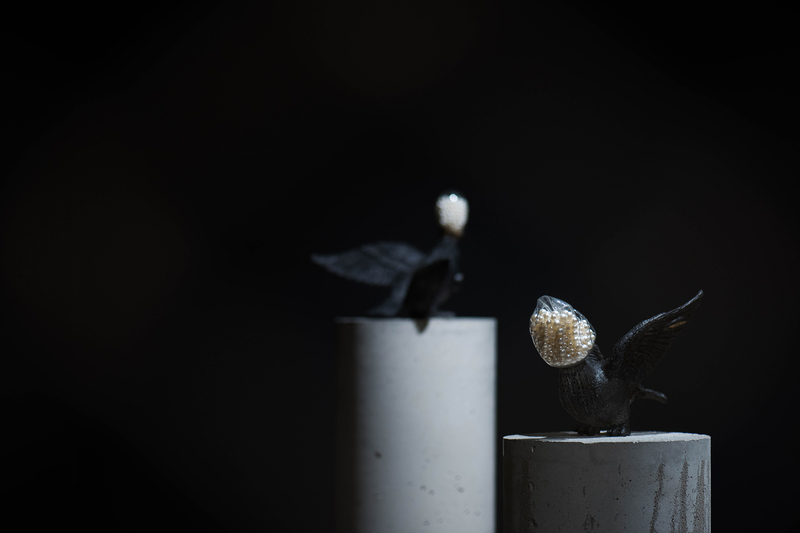 “Everywhere, Nowhere”, an installation created by Chinese artist Du Meng, intertwines the elements of narrow aisle, black cages, heavy sands, peepholes and calm pigeon cooing together. 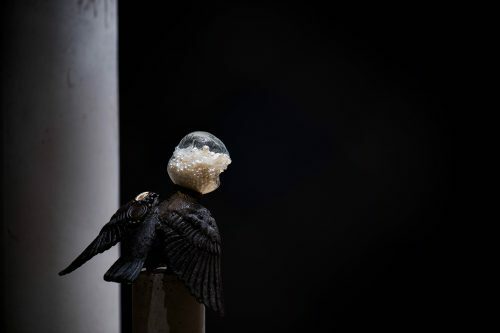 When visitors stand in this mysterious and spiritual space, they may integrated into every detail of the work and sense its multi-faceted glamour.